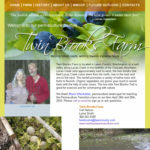 Farm in Lewis County practicing organic growing methods and permaculture design. Development and installation of a staff calendar on the company intranet. 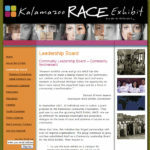 Drupal web service is provided for WMU's Kalamazoo Race Exhibit site. Virtual storefront for Johnfarm Antiques & Gifts. Redesign and configuration of The Niyah Company web site dedicated to the American Muslim community.